It seems that every Easter we obviously focus on the death and resurrection of Christ more diligently, and often times we lament that we do not do so more fervently throughout the year. 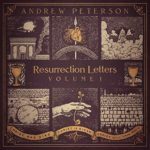 “Resurrection Letters” is a three part collection that highlights the death and resurrection of Christ. Stylistically the music is in the form of a traditional singer-songwriter style, so it’s not restricted to a ‘special’ holiday format. It is something you can listen to anytime of the year, and sincerely reflect on the story of the cross. At the end of the “Prologue” the EP, Peterson goes back to the beginning with “God Rested” and I think this emphasizes that God had a plan from the beginning and Jesus fulfilled that plan on his journey to the cross on our behalf. “Volume 1,” leads off with “His Heart Beats,” which is an upbeat proclamation of Christ’s victory over death with an exclamation point; His Heart Beats!!! This is followed by stories of thieves and sinners alike (“Remember Me”), communion and reflection (“Remember and Proclaim”) and the complete finale “All Things Together.” A complete tapestry of story and music that highlights the power and completeness of the blood of the cross. 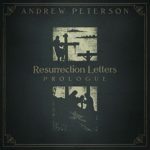 For more on Andrew Peterson and the “Resurrection Letters” check out his official website at https://www.andrew-peterson.com/. This entry was posted on Monday, April 9th, 2018 at 7:51 pm and is filed under CD Reviews . You can follow any responses to this entry through the RSS 2.0 feed. Both comments and pings are currently closed.